There'll reportedly be more GT variants, too. Porsche has been offering so many versions of the 911 that it's hard to wrap your head around 'em. But they're essentially grouped into two "pillars” – the core lineup (made up of Carrera and Turbo models) and the GT range (like the GT3 and GT2). But now the German automaker is planning to launch a third one. The news was revealed by Evo after speaking with Porsche CEO Oliver Blume, who didn't offer much in the way of specifics. But we're expecting that third pillar to be made up of limited-run special editions. That could include the successor to the 911 R and a future Speedster – models that have typically drawn heavily from the GT lineup, but were offered in even smaller quantities. Zuffenhausen is also looking into new ways to keep those special editions off the speculative market and in the hands of enthusiasts who'll actually drive them. The GT range could expand with the new 992-generation model as well. Blume indicated that the GT2 will yield more than one version. Previous iterations have seen GT2, GT2 RS, and GT2 RS Clubsport variants, offering incremental increases in hardness of core. These in addition to the basic lineup, so far rolled out in Carrera S and Carrera 4S specs, with coupe and cabriolet versions of both. 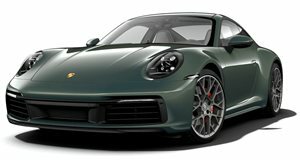 Based on the proliferation of the outgoing 991 generation, we can anticipate that Porsche will also launch a base Carrera, "puristic” Carrera T, optimized Carrera GTS, and Turbo and Turbo S models, as well as an in-between Targa body-style. That already comes to two dozen model variants in just the core pillar, before the other two are even taken into account. And we won't be the least bit surprised to see the manufacturer squeeze even more versions into the lineup this time around.